AS this year’s Poppy Appeal gets under way, the organisers in Frome and Nunney want to exceed last year’s record total and hope that they will continue to have the support and generosity of the local community. “The people of Frome and Nunney have always been very generous – last year’s appeal raised a record breaking £22,556 for Frome, and £1,407 for Nunney,” said local Poppy Appeal organiser Jane Wood. “And this year we would like to see if we can match or better those totals. 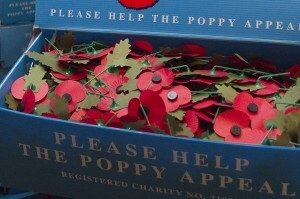 “We will start collecting in Sainsbury’s on Saturday 27th October. We get such support in Sainsbury’s, then there are 300 collection tins across the town. It is rewarding – there’s a tremendous amount of goodwill out there. “In the past year, The Royal British Legion has spent £90million, that is £1.7million every week, helping serving and ex-service personnel. From 1921 to those currently serving in Afghanistan, the Legion has been and still is there for them and their families. “Last year in Somerset and Bristol over 1,200 people have received direct help at a cost of £750,000. That could be a grant to help provide a family holiday at one of our break centres for those who are in genuine need of respite, or a range of support to help with a disability. “For those leaving the services we can offer advice and support to get back into work, retrain, or a loan to start a new business. For older veterans we have our own care homes and the ‘Poppy Calls’ scheme, which helps with DIY and small jobs, which enable people to stay independent. 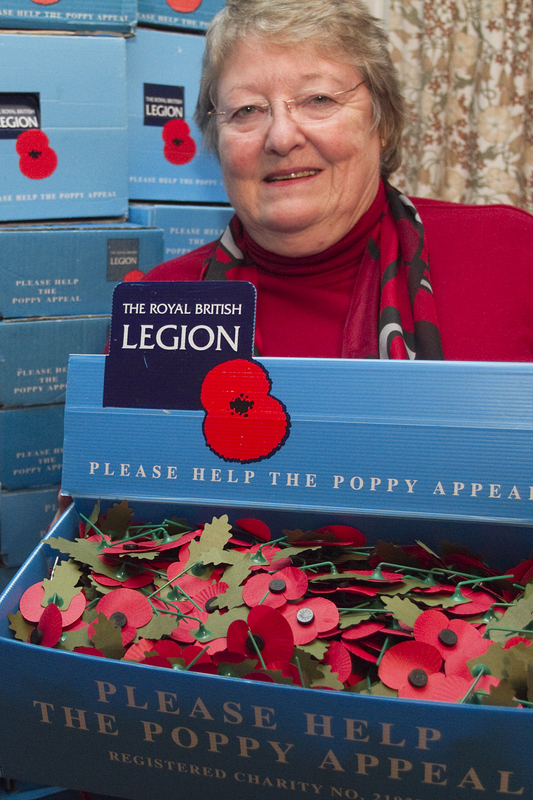 The local Poppy Appeal will also be looking for a new organiser as Jane Wood will be stepping down after this year’s appeal. Above: Poppy Appeal organiser, Jane Wood. The town’s annual remembrance service will be held on Sunday 11th November at the war memorial. Those marching should muster outside Keyford Drill Hall at 10.20am before starting the parade at around 10.45am. The service will commence at 10.58am in time for the silence at 11.00am. The service will conclude with a short address to mark the handing over of the submarine plaque of HMS Thunderbolt, to mark the 70th anniversary of the “citizens of the Urban and Rural Districts Councils adopting the submarine in 1942”. HMS Thunderbolt was rebuilt from the wreckage of HMS Thetis, and was itself lost with all hands off the coast of Sicily in 1943. There will also be a Remembrance service at St John’s Church at 6.30pm.